Accessibility and liquidity for every real estate owner and investor. Built on Ethereum. "BrickEX makes possible real estate investment for smaller investors all around the world." "While Binance is targeting a Crypto market currently sitting at $250 billion, the BrickEX exchange will be targeting a real estate market estimated at $217 trillion." "BrickEX will be the first Global Real Estate Exchange that is using its own cryptocurrency." Our decentralized marketplace creates transparency, accessibility and liquidity for every real estate owner and investor. Enables fractional ownership of investment in real estate. An online exchange of blockchain-based digital certificates that represent property ownerships. 3rd party real estate owners are able to list and exchange real estate. Our CFO & founder Bas Bergmans, explains what is BrickEX. See how BrickEX works in this live demo. This animation explains how BrickEX works. The real estate industry is long overdue for a shakeup. Not only is one-third of the industry running on technology that was first released over 30 years ago, but it continues to put up barriers to transparency, preventing the release of locked up liquidity and eliminating standard services. With the help of the blockchain, we know that the real estate industry can move into a new, more democratic age. Real estate assets exist in a fragmented space whereby typically each real estate crowdfunding platform has its own set of investors, data models and financial transactions. DAG is a dApp which creates an integration point for real estate platforms to enter the BrickEX ecosystem. Adopting the concept of a sidechain, the DAG will provide a cryptographically secure mechanism for assets to go in and out of BrickEX. Unlike other physical assets such as precious metals or raw commodities, each real estate asset is unique and non-fungible. We’re closely monitoring the evolution and adoption of ERC721 (Ethereum standard for non-fungible tokens) and ERC998 (Ethereum standard for composable none-fungible tokens) as we believe it will help BrickEX assets to be easily integrated into other parts of the crypto ecosystem (e.g. wallets, asset portfolios, explorers, etc.). Crowdfunding has traditionally been a centralized activity where investors trust the crowdfunder (e.g. kickstarter, seeds, etc.) with their money and credentials. 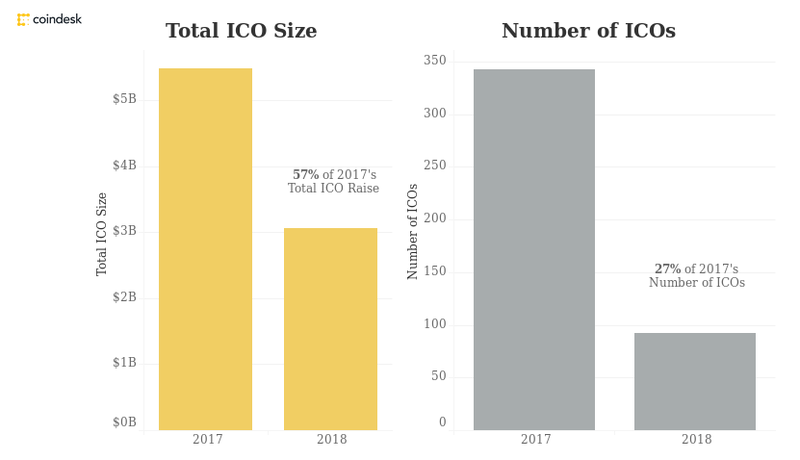 That model is becoming obsolete, and Token Sales have proven to be a much more efficient and transparent way of raising funds from a multitude of investors. The DAC dApp will allow BrickEX to run crowdfunding campaigns transparently and safely. Investors will have full access to see the funding progress, the amounts invested and the state of funds which will be held in an onchain escrow. Real estate investments are attractive because they produce fixed income. A true decentralized real estate exchange platform must try to avoid using centralized intermediaries for key processes, and therefore we will funnel all rental income through our DID component, which will allocate funds to investors based on the number of shares they own in various portfolios they own at the time of distribution (similar to how dividends are paid in the stock market, but without the need for a central institution). What complicates matters is the fact that successful blockchain innovations require a far more collaborative approach than before, so being first to market actually involves being first with an ecosystem primed to function with other financial institutions – a far more complex undertaking. Tier 1 Brick Token: The Brick Token is a utility token representing access to the services on the BrickEX platform. The governing currency on the BrickEX platform is the Brick Token (BRI). The Brick Token is a utility token designed to enable participants to utilize the decentralized platform itself. The BrickEX platform will issue new tokens (economic rights of ownerships) for each new real estate offering on the platform. These tokens are classi ed as security tokens and need to comply with local security regulatory requirements. BrickEX will initiate fundraising though a private and public Token Sale to raise $27.5M. Private sales is open for accredited investors with min. investments of $120K with 50% bonus tokens. The token sale is not available for US citizens. The token sale has been structured to prevent investors to sell under the token sale introduction price. To accomplice this, all bonus parts in Private Sale have a minimum vesting period of 1 month. Tokens distributed to the BrickEX team and advisors have a vesting period of 2 year. No tokens can be sold in the first 3 months after the token sale, thereafter team members can sell a proportion of 1/24th monthly of the tokens received. Team members can buy as many tokens as they wish on personal title. BrickEX will work with different real estate partners to launch the platform initially in North America, Germany, The Netherlands, Spain, Hong Kong and Singapore. BrickEX will launch the Exchange with a number of Launch Partnerships, several of which have already been negotiated. These launch partners will commit to offer at least $5M in real estate on BrickEX. BrickEX will commit to provide liquidity for at least 50% of each placement in return. This will kickstart the platform with a geo-diversified offering of at least $50M. The founding team together with selected advisors bring a wealth of education, experience, and their valuable networks to BrickEX, not to mention proven track-records of success during their decades of combined experience in conceiving of and growing startups. Double degree in Business Economics and an MBA, has spent almost 20 years either consulting on or self-starting new business. Jeroen’s latest real estate venture grew from zero to $20M in assets within one year. A serial entrepreneur and investor, Bas spent 15 years working in Transaction Services, Corporate Finance, and Strategic Change with Deloitte and PwC. Bas grew his latest venture from 0 to $80M in revenue in 4 years. BSc and MSc in Computer Engineer, has more than 15 years of professional experience in IT Consulting & Innovation. He is a Partner in charge of IT Consulting and Innovation at Grant Thornton, and Spain's Blockchain Lab. Expert in building businesses and applying innovation especially in the field of PropTech. Sabine is also Chairman of the Dutch IBREA chapter. Sabine is highly educated and has many years of corporate as well as start-up experience. CTO of icovend.com. Hector has in-depth experience in token sale and blockchain technology. Owned several technology businesses and has 15 years of programming experience. Results-oriented cryptocurrency trader and community manager with 5 years of experience in the crypto-currency scene Mentor to over 1250 cryptocurrency traders. He is responsible for our community and token mechanics. An expert in the areas of digital high growth marketing and specialist in online user interfaces. Jorgo’s experience was built upon many years of portal management as well as running performance campaigns. Founder and CEO of Maecenas. Having previously worked at a number of large global banks including Credit Suisse, Barclays and NAB, Marcelo has experience in designing and building large-scale enterprise- grade systems. Crypto community manager and crypto enthusiast with strong marketing and communications skills, always looking for the best opportunity for the community members!. MSc in Marketing and working for an Emerce top 100 agency, Yonego. Responsible for the online marketing around the token sale. Experienced digital marketeer, entrepreneur and crypto investor with 6+ years of experience in marketing & community management. Growth hacker and entrepreneur with a background in brand and project management. An innovative and passionate ROI driven digital marketing professional with 7 years of experience in guiding clients in their journey. Fascinated by new technologies and startups. There is something exciting about things that have the potential to change the world. Growth marketer and Co-Founder of the Spike Blockchain Marketing agency, Gino helps Blockchain projects during their Token Sales. Head of SEO at Yonego with an MSc. in Strategic Management and 10 years of experience in SEO for both agencies and in-house companies. Complementary currency & crypto expert. Complementary currency & Crypto advisor. IT, information & transaction security. CEO at Geskaria Real Estate Investments, he is specialized in European market. BrickEX Ambition and where do we fit in the crypto start-up maze? Get in touch with our expert team. Simply fill out the form and we'll get back to you shortly. Your contact request has been received. We will get back to you shortly. Something went wrong. Please try again or send a message to info@brickex.io.